Rena Bianca (or ‘white sand’) Beach can be found to the north of the town, and boasts a picturesque cove surrounded by rocky headland, with soft sand and crystalline blue waters. There’s a lifeguard and a small number of parasols and sunbeds for hire, along with the odd pedalo and kayak to take out on the water. It’s a good spot for the little ones to build sandcastles and dig holes, but be sure to remember your snorkelling gear too, as the surrounding rocks are great places to investigate the local marine life. 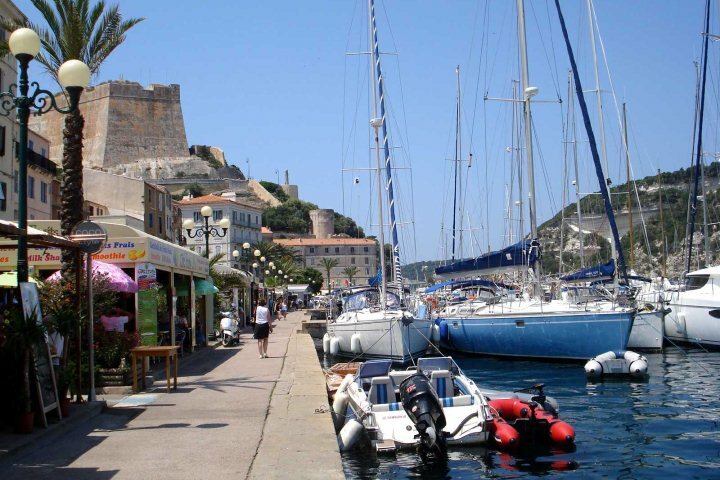 Why not spend a day exploring the magnificent citadel and harbourside of Bonifacio in southern Corsica? 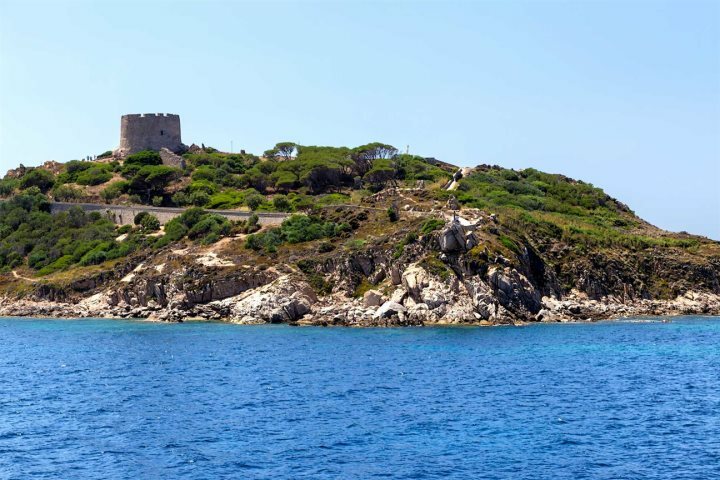 You can jump on a ferry from Santa Teresa Gallura, taking around 50 minutes and costing around €30 per adult. There are a few different departure and return times, so you’ve got some flexibility on how long you wish to stay, but there’s plenty there to keep you occupied for the day. Take a (fairly steep) walk up to the citadel, where magnificent views of the cliffs can be enjoyed, and then wander the narrow, cobbled streets where a new café or intriguing shop can be found at every twist and turn. Alternatively, why not enjoy a leisurely lunch along the bustling harbourfront, whilst admiring views of beautiful luxury yachts and speedboats? If you like to discover impressive landscapes, head west to Capo Testa. With rocky coves boasting emerald water, interesting rock formations, hiking trails and plenty of natural beauty, it’s a place that you won’t want to visit without a camera. From Santa Teresa, it’s around a 10-minute drive to get there, so ideal for a half day visit if you’re running low on time. 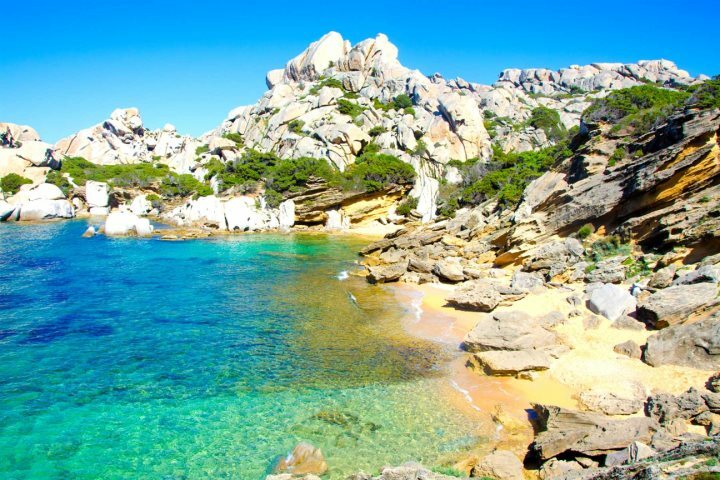 In the heart of Santa Teresa Gallura you’ll find a lovely large open square, lined with beautiful pastel-coloured buildings and a number of cafés, restaurants and ice-cream parlours. Choose whichever takes your fancy and enjoy a relaxed afternoon with your favourite beverage, and simply watch the world go by, it’s as easy as that. Built in the 16th century, Longosardo Tower can be found on the headland to the east of Rena Bianca Beach, and affords some pretty spectacular panoramas across the Strait of Bonifacio. It’s easy to reach the tower on foot from the main town, you just follow the road north and up the hill for 500m until you reach the tower, which takes around five minutes from the main piazza. Rena Bianca Beach comes alive during this jazz festival, where lots of different jazz performances come together to create a wonderful buzzing atmosphere. With concerts starting at dawn, you can spend your entire day soaking up the music, or dip in and out as you please. 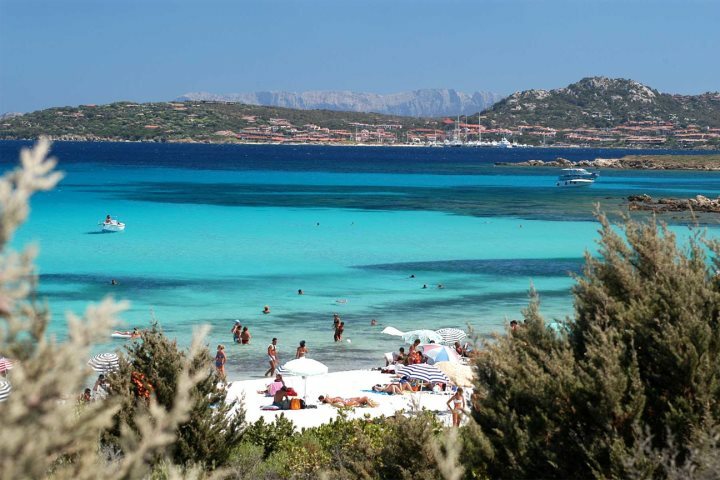 If you don’t fancy listening to the music but want to relax on a beach, head just outside Santa Teresa Gallura to Rena Di Ponente, a rugged sandy beach with turquoise waters found along the road to Capo Testa. You can find out more about the festival here. 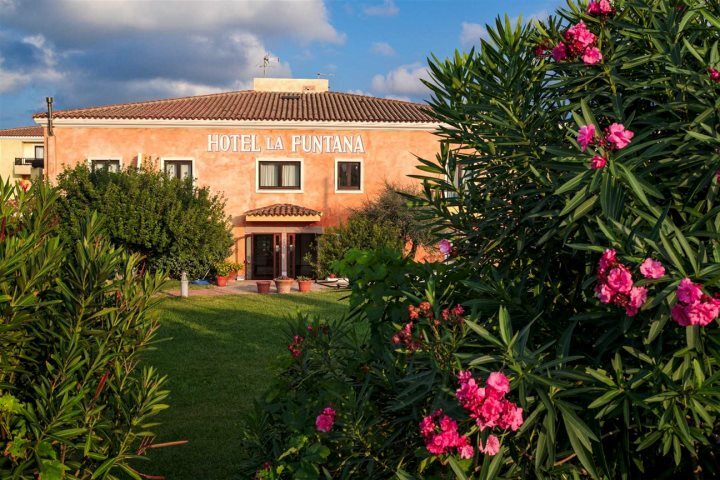 Situated right in the heart of Santa Teresa Gallura, Hotel La Funtana is just a 15-minute walk to the main piazza and Rena Bianca Beach, so you’re ideally located to enjoy the very best of the town. Traditionally Sardinian in style throughout, this family-friendly hotel boasts a good size pool, along with a restaurant and bar, plus a children’s play area – everything you could want to enjoy the best of Sardinia’s summer sunshine. 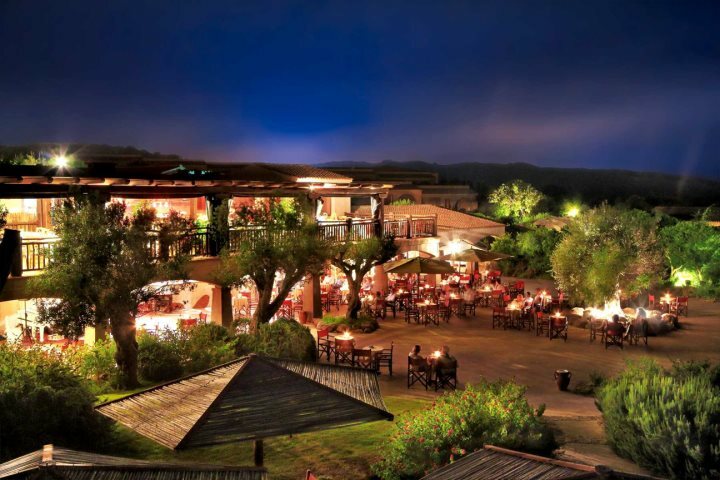 Located a 15-minute drive east of Santa Teresa Gallura, Resort Valle dell’Erica Thalasso & Spa is part of the prestigious Delphina Hotel group. A holiday here encompasses superb views across to La Maddalena Islands, along with an unrivalled variety of facilities, such as five restaurants, five bars, four pools, and a superb thalasso spa centre. 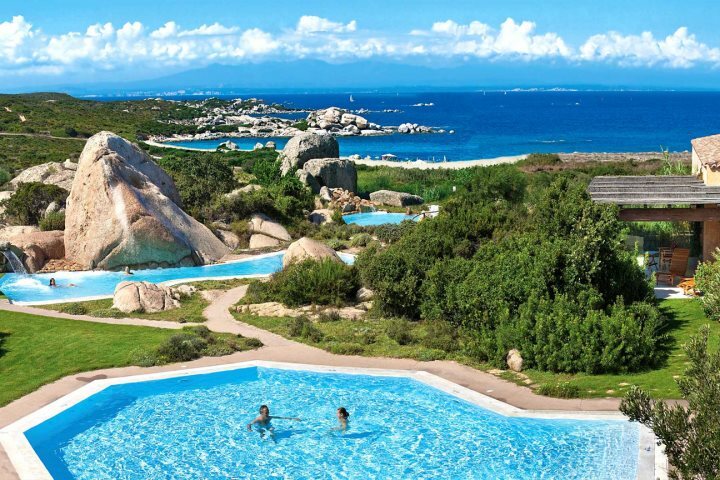 It’s an ideal choice if you’re searching for a luxury holiday close to Santa Teresa Gallura. To find out more about a holiday to Sardinia, take a look at our holiday ideas, or browse our extensive accommodation collection.